When Oakland A’s, a small-market team, stunned the baseball world 16 years ago by transforming itself into world-beaters on a shoestring-budget, embarking on an unprecedented unbeaten streak that saw them win 20 consecutive games, setting an American League record, they did so by finding undervalued players through ground-breaking statistical analysis that has since become commonplace in major league sports. Billy Beane, the man behind what become known as the ‘Moneyball’ phenomenon, has long maintained that his use of analytics in decision-making principles can be adapted from baseball to other sports, and now we are starting to see Moneyball’s benefits in this country, in common British sports like football, rugby and cricket. But it is not just the business of sport that can benefit from data analytics. We don’t all have to be analytics nerds to use data to create a competitive advantage that can help set our business apart from the competition, largely thanks to technology, which has become an integral part of our daily life and has important effects on business operations. No matter the size of your company, technology has both tangible and intangible benefits that will help you make money and produce the results your customers demand. Take marketing automation, for instance. This category of technology allows companies to streamline, automate, and measure marketing tasks and workflows, so they can increase operational efficiency and grow revenue faster. Marketing automation software is used in many modern marketing processes, for businesses of all types, including sales and letting agents, with various products now available that provide one-stop marketing solutions. Agents are increasingly embracing the true potential of business technology, enabling them to save valuable time and resource by dealing with and better managing more applicants, vendors and landlords by communicating more effectively with clients through automatic emails, text messages, phone calls, social media and online advertising. Agents have countless demands on their time. But being tech-savvy and automating repetitive tasks and learning through data generally frees up time to focus on core business activity. Marketing automation crucially allows agents to streamline their lead generation, segmentation, lead nurturing and lead scoring, customer lifecycle marketing, cross-selling and up-selling, customer retention, and marketing ROI measurement. Having these tools at your fingertips really can make running the business so much easier. “In addition to this, creating several marketing posts on one day with a delayed distribution date across digital channels inevitably increases the productivity of your team,” he said. A number of industry professionals agree that marketing automation holds the key to the future success of an agent operating in the sales and letting sectors, but not Laurie Mackrell, head of marketing at Harrisons Property London. “It [marketing automation] is not the future – it’s now,” he said. Through tracking and analysis of visitor behaviour, marketing automation software enables agents to create a cross-channel marketing strategy that delivers a consistent and personalised experience for any prospective buyer or renter, seller or landlord. This technique is designed to improve the efficiency of a sales funnel, with a view to converting leads into sales. As we all know, the lifeblood of all sales and letting agents are fresh instructions. Without new properties on the market, whether for sale or to let, an agent’s business will not be successful as potential buyers and renters will simply look elsewhere. Most people start their property search online, and so whether listing properties on Rightmove, OnTheMarket or Zoopla, it is important to have something new to offer or your firm’s listings will look dated very quickly. Agents try all sorts of techniques to gain new instructions, but Mackrell believes that the quickest and easiest way to win new business is to work with the right partners and suppliers, with a proven track record of delivering success. Marketing automation delivers useful content to potential customers, helping to develop trust and respect for the brand, and educate people about the services that agency offers, whilst allowing them to qualify their interest. 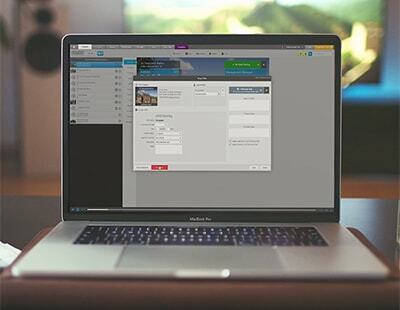 ActivePipe, for example, is an email automation platform that is designed specifically for sales and letting agents. It has created a service that enables brands to create communications and customer journeys at a central or corporate level that could be distributed locally via the agents and unveils a whole new level of data to the agents based on their clients interactions. Online valuation tools are another example of a product that typically appeals to homeowners who want to know the value of their property, especially those thinking about actively selling. A host of platforms provide this service, which aside from offer a valuation, also allow homeowners to find the best agents in their local area and even book a valuation appointment. 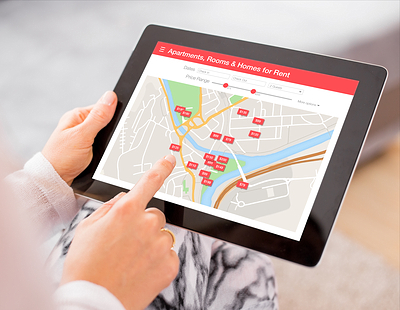 The ValPal Network, for instance, allows agents to capture the details of vendors and landlords visiting their site, helping to boost property stock levels. But The ValPal Network, owned by Angels Media – the publisher of Estate Agent Today - is more than just a valuation tool – it also offers intelligence to deepen agents’ customer knowledge, in partnership with leading companies, such as Reapit, Estates IT, and Feefo, with a view to helping companies deliver better targeted and measurably more effective campaigns. Take the Network’s strategic partnership with Feefo, the reviews and customer insights firm, which details analytical insights from reviews that only consumers who have genuinely purchased or used a service are invited to leave, for example. It allows participating members of The ValPal Network to gain unique access into consumer trends and insights which they can use to sharpen up their marketing campaigns and improve customer service levels. Reviews are shown on an agent’s website without mediation, driving traffic and augmenting transparency. Feefo’s artificial intelligence-powered Smart Themes automatically tracks customer sentiment across all reviews, decides the most popular themes and collects reviews into convenient topics, enabling agents to see what is trending and learn where they are going right or wrong. “It’s crucial that agent reviews are genuine and from real customers and that’s why we see working with Feefo as a real benefit to our members,” said Craig Vile (above), director of The ValPal Network. Among the various benefits, automation of the marketing process allows agents to significantly reduce the ‘cost per instruction’. This is not just because it requires fewer resources, but because it is more intelligent. Agent Software’s core products, ‘Spectre’, an automated prospecting and market research software, and ‘Hello Again’, which generates bespoke property reports annually for past property purchasers, allow agents to promote themselves more efficiently through targeted marketing, which, according to Staff, means “a lower cost per instruction, reduced waste and saved time”. It may be stating the obvious, but agents must comply with the General Data Protection Regulation (GDPR), which was introduced towards the end of May. The new legislation gives individuals increased rights when it comes to the use, storage and deletion of their personal data. GDPR can be overwhelming at face value, but it basically presents agents with an opportunity to learn more about their clients, assuming they handle their data responsibly. Thankfully, marketing automation platforms can help agents with GDPR compliance, as long as it is done in the correct manner, especially in terms of setting prospect and customer consent levels, permitting customers to manage their email preferences and information shared with them, and separating ‘need-to-know’ information from ‘nice-to-know’ information. Being GDPR-compliant essentially means building trust and improving customer engagement - and that is good for business! I think it's very important to evaluate your competitors. For example in the theater industry it is very important to have a lot of publicity in the media. The last production about Cats https://catsshowtickets.com/ was able to evoke response in 20 local magazines.